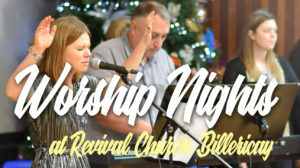 Our Worship Nights create the opportunity to spend concerted time in God’s presence. We meet on Saturday evenings in the Billericay School from 7.00pm – 9.30pm. Please visit our website calendar for details of the next event.